Have you ever considered how much you could benefit from renting an electric vehicle to drive around your city? Our city cars are the most comfortable and the cheapest means to avoid the restrictions of our Limited Traffic Zones (Ztl). Driving an electric car means saving and reducing the risk of a fine in areas where other vehicles are not allowed to enter, especially when you drive around a city you don’t know well. 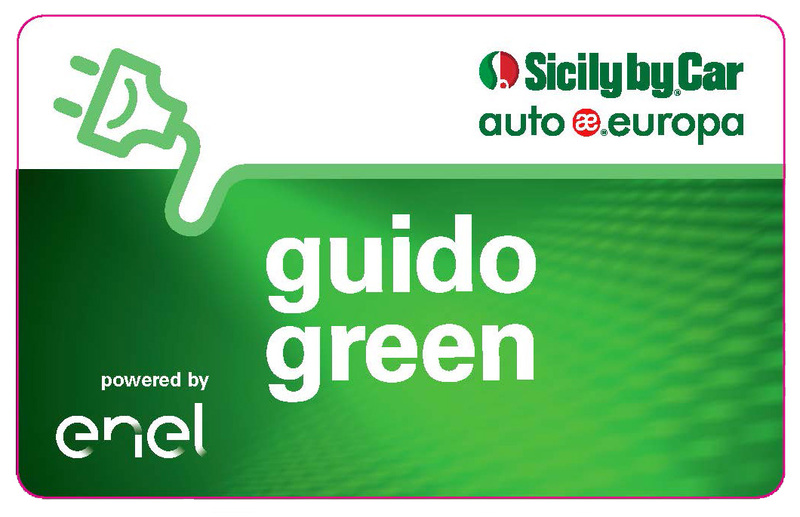 Rent Sicily by Car electric vehicles to enjoy driving with a clear mind! Driving an electric car is a conscious choice to “support” the environment and foster the idea of an eco-friendly transportation. Innovation and awareness are the pillars of driving cheap, green and eco- friendly. Our electric car is easy to charge, thanks to our agreement with Enel, which guarantees many charging stations all around the city. Sicily by Car has always been actively involved in the research for alternative and innovative solutions in line with the most important new technologies. 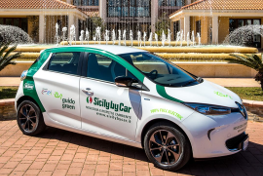 Our project about electric vehicles and eco-friendly transportation refers to Sicily By Car Corporate Social Responsibility, which is our MISSION to ensure our Customers the best quality, service and the chance to save money, through the RESPECT FOR NATURE. It invites you to read the model "addendum" to the rental contract for electric cars that will be signed by the customer upon collection vehicle. For ENEL-X recharge points (public) in Italy, click on this link Enelx for more information and You can see the map.